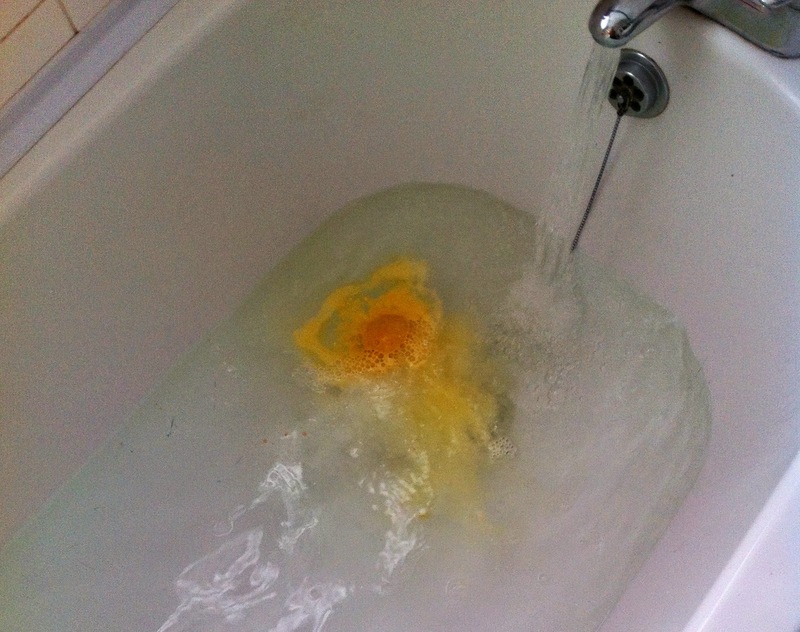 Hello lovelies, I was looking through my draft posts and seen the pictures of this bath bomb! As if I didn't review it sooner, I got this in the Christmas sale as it is one of there Christmas products, look how adorable this lemon meringue looking man is! His meringue got a bit bashed in my bath bomb vase but he still worked a treat. 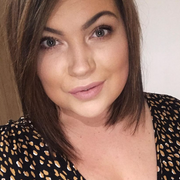 It smells amazing, very similar to a lemon meringue with chocolate eyes, very sweet smelling and left a lovely feeling on my skin afterwards having the cocoa butter enriched so you wont need to moisturise afterwards. 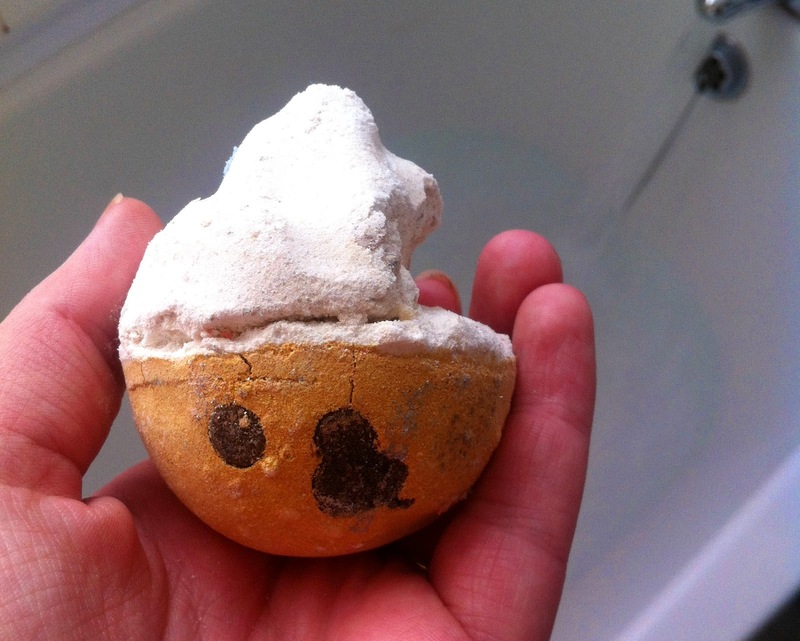 Lush made this little man with the inspiration from an apres ski drink made in the Italian Alps made with brandy, eggnog and whipped cream but obviously lush do their own take making it rich and creamy, skin softening with cocoa butter and uplifting with Sicilian lemon oil, it is a real treat for your skin. 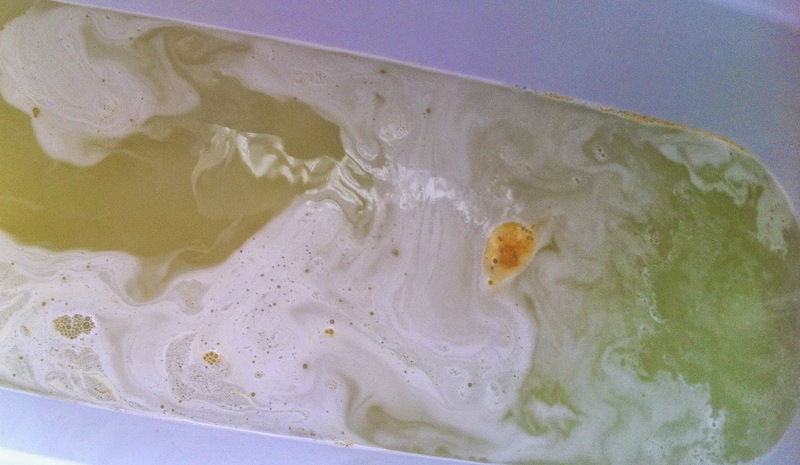 Once I threw it in the bath it made a whirlpool of bubbles and turned the bath yellow, not the most attractive colour to turn your bath, my boyfriend actually said it looks like you've had a wee in the bath... Such a child haha, I guess he was right though. The scent lingered for quite a while in the bath but the bubbles didn't stick around for long. It does leave your skin feeling really soft but I love bubbles in my bath so I much prefer Lush bath bars for bubbles but I just couldn't resist this adorable bath bomb in the sale for just £1.25. I am sure he will be here again this year so if you're not too fussed on bubbles and love sweet smelling baths I think this would be right up your street and recommend you trying this out. Have you tried this little man yet, or will you be trying him this year?